Senvion, the German wind turbine manufacturer, has reportedly received the green signal for the manufacturing of 24 turbines for the 86-Megawatt second stage of the Nexif Energy’s Lincoln Gap wind farm in South Australia. 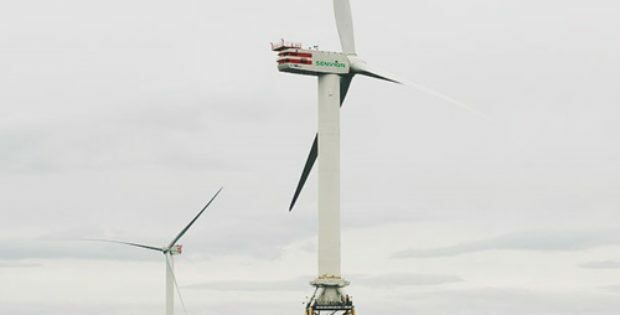 Sources claim that Senvion claimed the order for the turbines to cover 3.6M140 machines that will be installed and ready to operate from mid-2020. For the record, 35 Senvion turbines of the similar model had been used to construct the ongoing phase one of Lincoln Gap. A press release by Senvion states that the wind farm will have a total output of 212 Megawatt when both the stages will be completed, producing enough energy to power 155,000 households in South Australia. Senvion will start manufacturing turbines for the phase two only when a ‘Notice to Proceed’ will be given by Nexif Energy, a leading energy and resources-focused global private equity firm, headquartered in Singapore. David Hardy, Executive Director, Senvion said that they are happy to receive the official green signal to deliver the second stage of the Lincoln Gap wind farm. Receiving a positive nod for the project is apparently an affirmation of how well the local team is performing, Hardy elaborates, while further adding that the firm is committed to working closely with the local community to provide opportunities for individuals and businesses. Srinivas Rao, Vice President, Nexif projects and operations, said that they are delighted to extend their relationship with Senvion on the Lincoln Gap wind farm project. A major part of the success of this complex wind farm project can be greatly credited to Senvion’s technology and their turnkey approach, he adds. Srinivas Rao further affirmed that there will be a total investment of over $480m by Nexif Energy in Australia, when the construction of the Lincoln Gap wind farm will be completed.